​For over one hundred thirty-five years, the Diamond Point Community Church has offered spiritual uplift to the many thousands who visit the Adirondacks for refreshment of the body and soul. 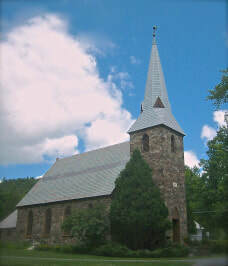 Nestled between the mighty mountains and beautiful serene Lake George, this little church holds its doors open to all. 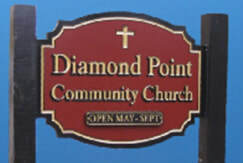 Diamond Point Community Church exists to proclaim the Gospel of Jesus Christ by providing Sunday worship for summer residents, local families, and travelers in the Lake George region. Please join us on July 20 for the 2019 Taste of Diamond Point! ​We are honored that you are visiting our web site. Being a religious organization, we are always striving to find new ways to get our message out to current and prospective members. This web site allows us to reach people we may never have been able to contact before.